Good driver and tour guide, jungle surfing had lot of fun! 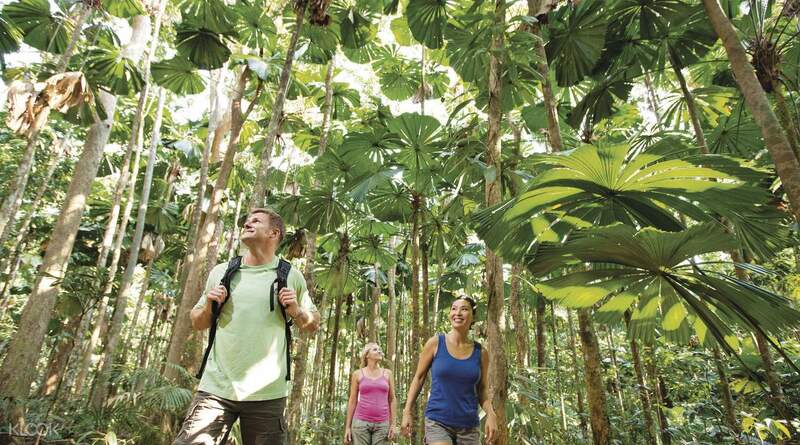 An ecotourism destination in Queensland, Australia, Cape Tribulation - located in the Daintree National Park - is a drive away from Cairns and is one of the best places to experience the natural and almost untouched beauty of Australia. The tour starts with a pick up from your accommodation in Cairns. 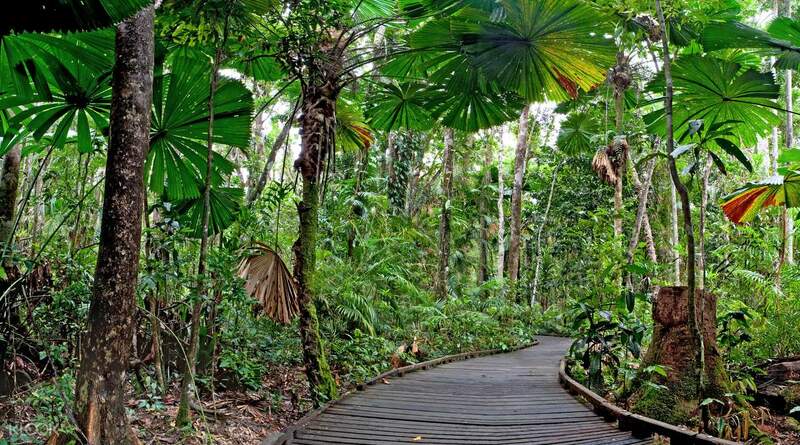 From there, you'll drive to Wildlife Habitat in Port Douglas, a wildlife park where animals move freely throughout the entire sanctuary and visitors are free to interact with them - so long as they follow all the rules and regulations. If included with your package, you can have breakfast with the birds, but if not, take the entire morning to just walk around the entire sanctuary and get up close and personal with the sanctuary’s animals, including kangaroos. 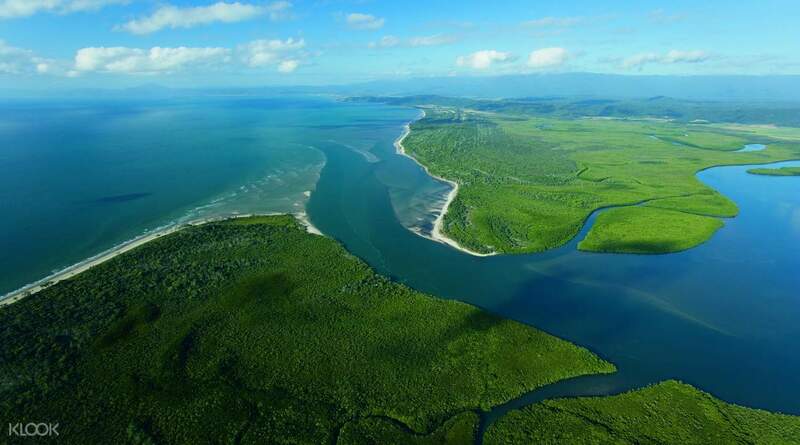 After that, you'll be taken across the Daintree River to get to Cape Tribulation just in time for lunch. Then, stop at the Alexandra Lookout and take in panoramic views of the ocean and the lush rainforest. 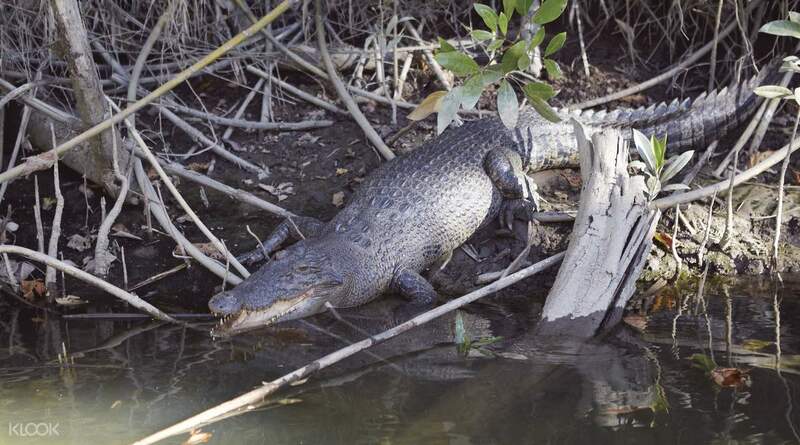 Finally, end the tour with the Daintree River Cruise, and get a chance to see more native animals including crocodiles, snakes, and more! You can also choose to maximize this tour by choosing to go Jungle Surfing and zipline from one canopy to the next - the perfect option for the more adventurous traveler. Really nice experience with George, who is a truly experienced guide. Learned a lot about the history of Cairns, the wildlife in Daintree, and problems animals are facing nowadays in the wild. Recommend it to anyone who is interested in learning about Australia and the nature! Really nice experience with George, who is a truly experienced guide. Learned a lot about the history of Cairns, the wildlife in Daintree, and problems animals are facing nowadays in the wild. Recommend it to anyone who is interested in learning about Australia and the nature! Good driver and tour guide, jungle surfing had lot of fun! Good driver and tour guide, jungle surfing had lot of fun! The tour guide was very experienced and shared a lot of information of various spots. 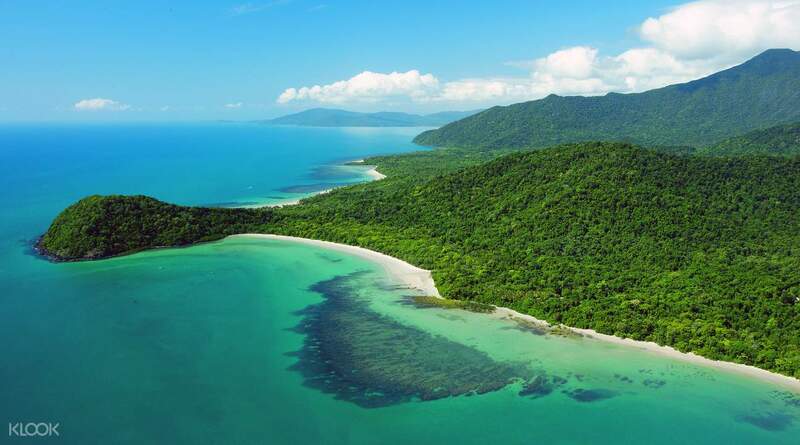 Cape tribulation is fantasitc and unique that both great reef barrier and rainforest - the world heritage, are located in the same area. The tour guide was very experienced and shared a lot of information of various spots. Cape tribulation is fantasitc and unique that both great reef barrier and rainforest - the world heritage, are located in the same area. This may have been noted but I didn’t read close enough, or I should have figured it out, but we chose the option with jungle surfing which actually replaces the visit to Caoe Tribulation. SO my tour - which involves 4-5 hours driving if staying in Cairns given the distance - didn’t even include the location in the tour’s name, which was our main purpose. i wish this was made more clear. So basically we were 4 hours at lunch / jungle surfing, 1 hour river boat, and the rest on the bus. Tour driver was very nice but honestly didn’t speak very clearly (and perhaps had a stronger than normal accent, but I’m a native English speaker) so was hard to understand. I’d recommend akullomg th jungle surfing or going for an overnight stay, and be prepared for a long bus ride. This may have been noted but I didn’t read close enough, or I should have figured it out, but we chose the option with jungle surfing which actually replaces the visit to Caoe Tribulation. SO my tour - which involves 4-5 hours driving if staying in Cairns given the distance - didn’t even include the location in the tour’s name, which was our main purpose. i wish this was made more clear. So basically we were 4 hours at lunch / jungle surfing, 1 hour river boat, and the rest on the bus. Tour driver was very nice but honestly didn’t speak very clearly (and perhaps had a stronger than normal accent, but I’m a native English speaker) so was hard to understand. I’d recommend akullomg th jungle surfing or going for an overnight stay, and be prepared for a long bus ride. The overall is good and the environment is comfortable. The tour guides are all friendly... I am looking forward to the suffering angle in my own journey. I know that I have not seen the corner of suffering at the end of the journey. I will always be surrounded by the suffering corner. Originally thought that the day trip plus slings, the day trip has a hard time, but the original system. A bit disappointed! Klook can consider clearly clear d to write clearly every option both active action: 整體好好，環保舒服。導遊都好friendly... 本身成個旅程都好期待去苦難角，點知到完結都未見去到苦難角，成日永遠圍住苦難角遊覽。 原本以為一日遊加吊索既一日遊係有埋苦難角，但原來唔係。有點失望！Klook可以考慮下清晰d寫清楚每一個選項既活動行動..